Today Jan drove us from Kamloops to Lake Louise. Quite a pretty drive through the Rockies but so many trees! We arrived in the village at 3.30pm. After checking in and a short break to help my back recover from the journey it was time for photos. 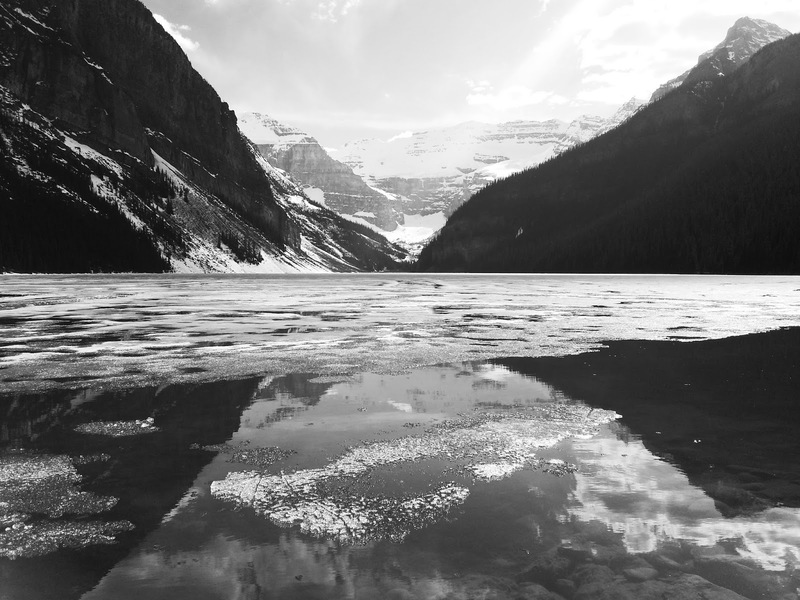 We drove the miles or so to Lake Louise. It was still sunny. Lots of ice on the lake with blue sky above. The mountains were so big and close I needed my widest lens to fit it all in. I started with the light red filter but feared the dark green trees could be lost so I switched to the polarising filter. Had to adjust the filter effect for both darkening the sky and improving the reflections. Lots of people around but still managed to take shots without them in view. I think it helped that I was standing in the lake! 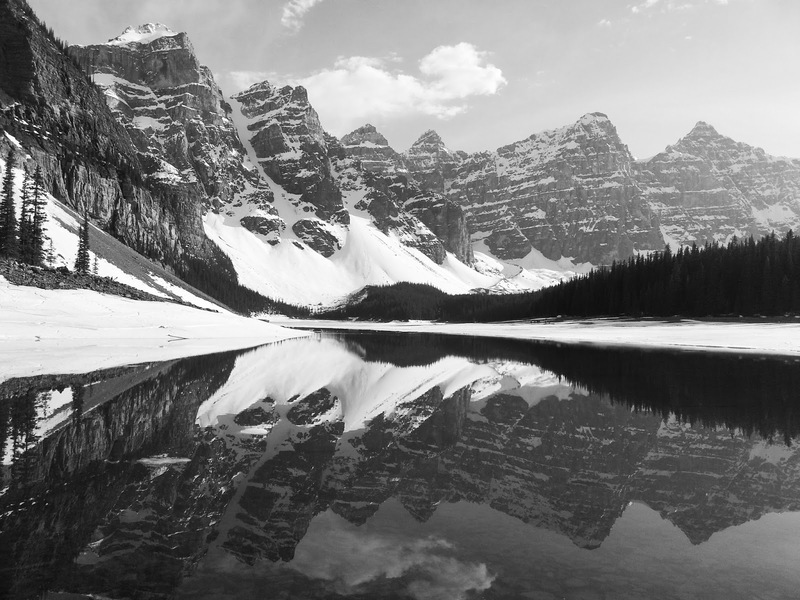 Then it was a 7 mile drive to Moraine Lake. The light was good here too although going fast. It was 5.30pm. Some noisy people were ahead but headed straight ahead south along the snowy lake shore. The lake was mostly frozen but I could see some clear water to the left so headed for that hoping for reflections. The view was just as impressive as Lake Louise. Again big mountains soaring above a small lake with blue skies. I used red and polarising filter as before. Spectacular. 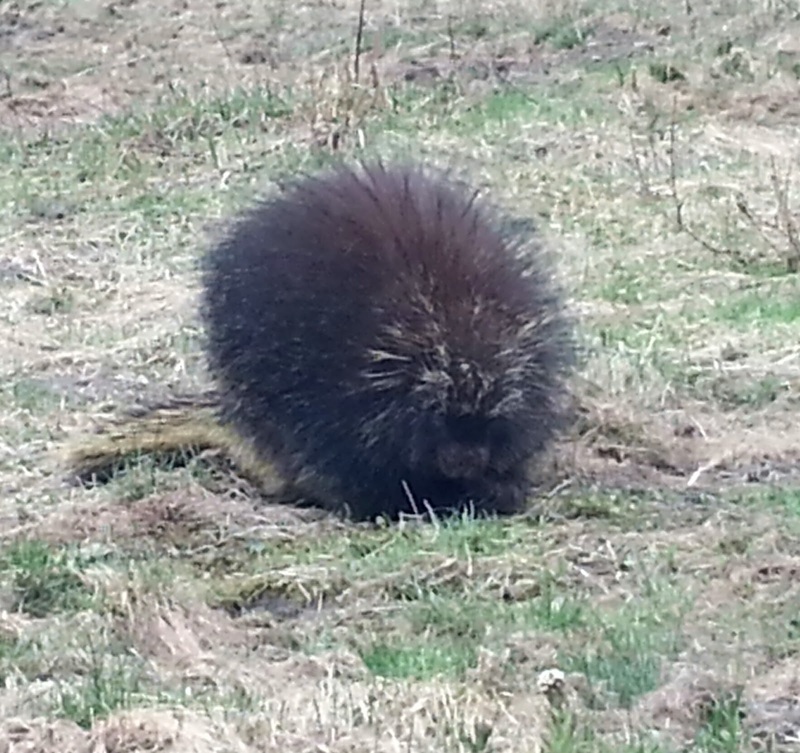 At the car we were greeted by a porcupine. Looked a bit like a badger from behind but slow compared to Derbyshire racing badgers (that’s another story).